Property Details: 4BR/4BA Property with 2200+ sq. 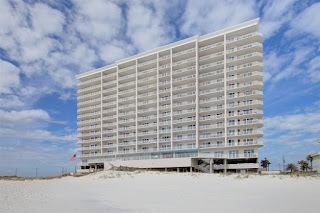 ft.
Windemere Condo For Sale in Perdido Key. Beautifully recently updated 4BR/4BA condo with tremendous rental income potential located in Windemere one of the finest developments on the key newly furnished this condo will delight even your "Pickiest" buyers - two covered parking spaces and two storage closets outside unit near front door - registered with coastal green providing cost utility savings - new fans and lighting throughout condo very unique 4BR/4BA rental with double master bedroom suites affording privacy to all guests - wonderful amenities - security provided - on site management!